Simpler Times Museum, 111 Simpler Times Lane, Tidioute, Pennsylvania, strives to preserve local interest and equipment of Warren County’s oil, gas, lumber and agricultural history. 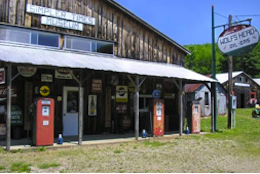 Museum includes oil, gas and agriculture displays; cars from 1913 to 1966; and over 90 gas engines, 85 gasoline pumps, and 90 tractors. 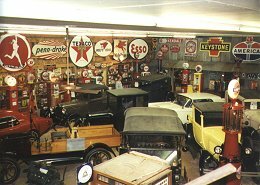 See a multitude of gasoline signs and containers, a working model of a 10 well oil field, a 50 HP Bessemer engine, and a Lineshaft System.